Preventing Unpleasant Summer Smells - Lee Soap is a industry leader providing turn-key products and solutions for the Automotive Care, Warewash, Laundry, industrial and janitorial industry. The summer sun usually brings to mind fond memories. 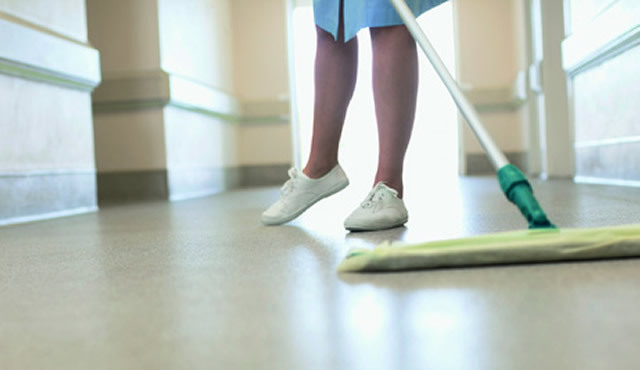 But for many facility owners, high temperatures and humidity can also be the cause of unpleasant odors that affect guest satisfaction and the bottom line. To help business owners combat smells, Cintas Corporation identified some of the top summertime odor offenders and tips to tackle them. 1. Kitchens – Fats, oils, grease and food debris can accumulate in kitchen drain lines, causing rancid bacteria buildup. Use of a drain line maintainer along with drain inspections can prevent these issues and costly plumbing emergencies. Linens such as aprons, kitchen towels and bar rags come in contact with a variety of liquid and solid elements and can reek if left in a pile. Implement a rental laundry program with regularly scheduled visits to ensure replacement of dirty linens with freshly laundered options. 2. Restrooms – During the busier summer season, offensive restroom odors, such as from bacteria buildup in clogged drains, can turn guests away. Today, customers can even access mobile apps that solicit feedback on poorly and well-maintained restrooms. Limit smells, complaints and poor reviews through frequent restroom cleaning and maintenance. Consider implementing air fresheners, urinal screens and restroom mats to stop odors at their source. 3. Carpeted Areas – Without deep cleaning, carpeting in high traffic areas can harbor mildew, allergens and other smell-inducing bacteria that can be further perpetuated by humidity. Hire a certified carpet cleaning provider to remove contaminants embedded in carpet, extend its life and create a safer environment for those with asthma and allergies. 4. Matted Areas – Entrances and other areas with floor mats, which capture liquids and dirt, can be a breeding ground for mildew and bacteria. A reputable floor mat service provider will supply mats and regularly clean matting to keep smells away. 5. Air Conditioning Units – During peak summer heat, air conditioning units are necessary to create cool and comfortable environments. If not maintained, AC units can accumulate dirt, mold and bacteria on coils, drain pans and filters, which cause odors. Avoid undesirable aromas, improve indoor air quality and reduce energy costs with coil cleaning services. 6. Supply Closets – Cleaning tools like string mops can hold odors, and spread them throughout your business. Consider easy-to-use and efficient microfiber cloths, mops and dusters, which are proven to clean more effectively than traditional tools. Scheduled deliveries of clean microfiber tools and the removal of dirty ones will help ensure that there are no lingering unpleasant scents. 7. Break Rooms / Uniform Rooms – Employee uniforms can stink if they’re left in break rooms or locker rooms and laundered infrequently. Rather than depending on employees to clean and maintain uniforms, invest in a full service uniform rental program. Each week, the uniform provider will pick up soiled garments and replace them with clean garments, each hand inspected and repaired if needed. With a variety of uniforms available, every worker can present a positive image and be properly outfitted for the tasks at hand.